A day at the beach is a perfect summer family activity. To make the day truly enjoyable, bring some of your favourite picnic fare. For beach picnics, where you’ll be basking in the heat and enjoying the water, you’ll want food that is light, refreshing and easy to handle. With fresh fruit in abundance during the summer, it would be foolish not to make the best of the bountiful array you’ll find at the market. Apples, peaches, plums, grapes and berries are quick and easy. You can also spend some time beforehand cutting up watermelon, pineapple, cantaloupe and other fruits and put them in a fruit salad. Don’t forget the cutlery! Combine fruit with cheeses or antipasto for a flavourful experience. Eating fruit is also an excellent way of keeping hydrated. A simple way to prepare a hearty meal for the entire family, the big sandwich is exactly what it sounds like. All you need is a fresh loaf of Italian or pumpernickel bread (or a round loaf), cut it horizontally so it opens up like a hamburger bun, add your favorite toppings, close it up and then cut it into smaller finger sandwiches for the family to enjoy. When packing up the cooler, don’t forget to bring plenty of water. Place a couple frozen water bottles in the cooler to help keep your picnic meal cool. Also don’t forget to bring plenty of napkins, wipes, and recyclable plates and utensils. 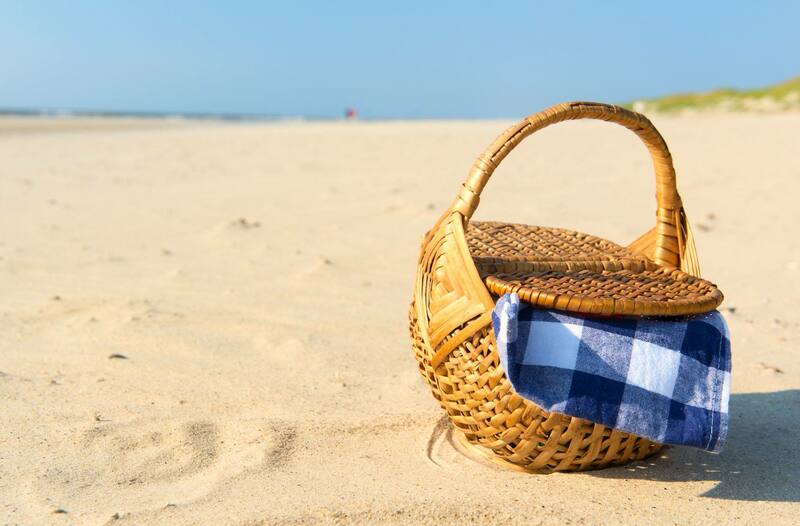 Enjoy your day at the beach with the family!